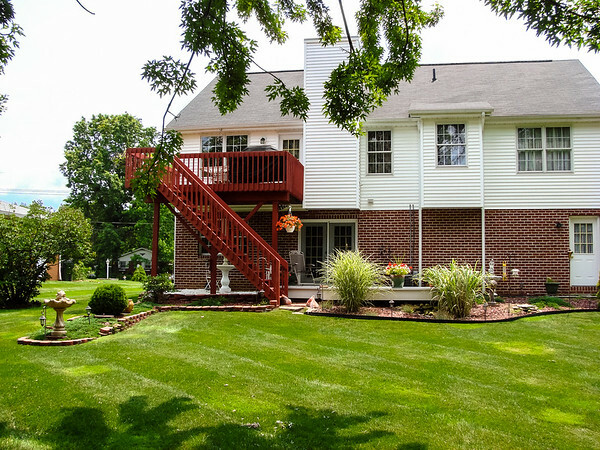 For the past 14 years we have enjoyed sitting on our upper deck taking in the sun and fresh air. The deck is 10’ by 13.5’ so not too bad to put out some furniture and a grill. I take my camera out onto the deck and enjoy the sounds of the birds, and take a few pictures once in a while. My wife will have her afternoon tea and browse the internet on her iPad out on the deck. The big problem living in Ohio is this is all very limited. Add to that the rain and cold evenings in late summer and there is not much time out of the year actually spent on the deck. Naturally there are the flies and bees that like to pester you if you decide to eat at the patio table. 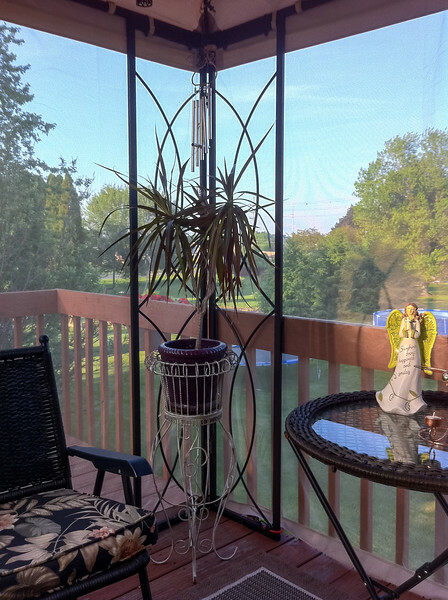 In 2007 we saw an 8'x8' metal gazebo at our local home store on season clearance for $100. We decided to buy it for the next years use. It was a little small, but it fit on our deck and allowed us to use our grill and eat in peace. It could do very little with the rain blowing in from the west, but a light shower was no problem. There were however, two other problems. One was the holes to allow the water to poor off the canvas (and onto our seat cushions), and the wind which could do some pretty severe damage, so the canvas roof on the gazebo needed to be put on in June to avoid the spring storms. 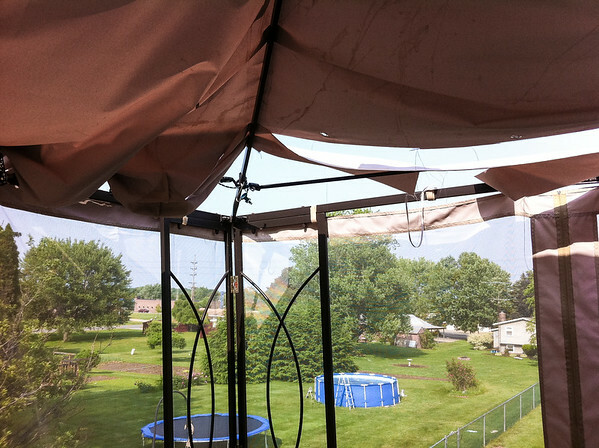 That worked out reasonably well from 2008 until June 7, 2011 when a big storm rolled in and destroyed the gazebo, ripping the brand new canvas roof to shreds and breaking the metal structure. I had spent the extra money for the heavy duty canvas and new netting that year to replace the older weathered canvas. It had only been up a couple of weeks when bang, it was gone. 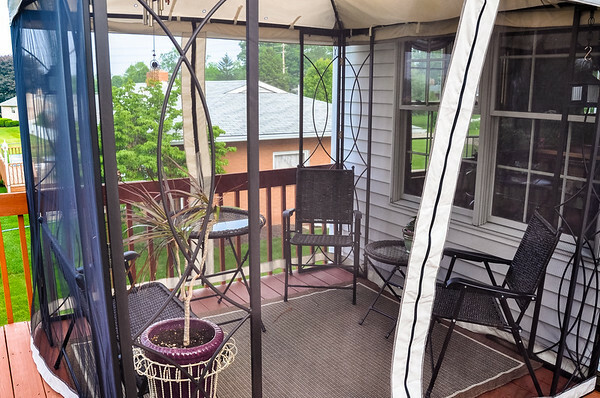 We bought a new table and umbrella and went back to the standard patio furniture on the deck for 2011 – 2013. 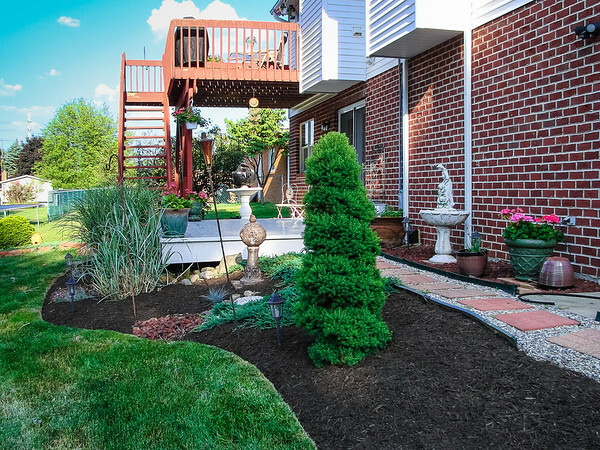 Through the years we had looked at various alternatives and talked about putting a roof on the porch, but could never really decide on anything that really addressed all of our concerns. Just a roof doesn't solve the strong storms from the west, and adding screens doesn't fix the short time to comfortably enjoy the deck. We had thought about an enclosed deck, but at the time we really didn't want to spend that much money. However, each time we visited a friend’s house with a sun-room why wife always commented on how she wished she had a sun-room. It is why we originally got the metal gazebo. So this year we started out the spring season by going to two home and garden shows. This time we visited local shows instead of the large show in Cleveland. We were kicking around ideas about new counter tops, a new wood floor in the great room, and a new driveway. As we were walking out of the show my wife took note of the enclosed patio on display and wanted to go in and see it. The owner of the company was there and we sat and talked to him and showed him pictures of our deck via the iPad. We setup an appointment, visited the show room, checked out the company and then started to plan what we wanted to do. 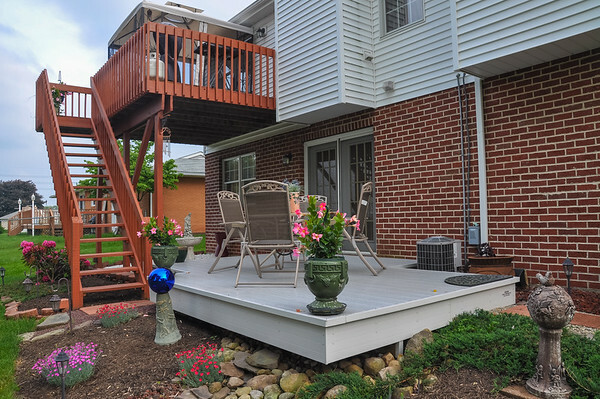 See Enclosing A Deck Part 2 – Discovery for what we started to plan and think about before buying our enclosure. So there you have it, the history of how we got to the point of deciding on an enclosed deck/patio. I hope you enjoyed the accompanying pictures that I took over the years of our upper deck. Two other pictures, the one below of a Jay on the deck, and the Goldfinches that I took from the deck looking down at them.